The last time these two clubs clashed in March, Manchester United were ousted from the FA Cup. Ole Gunnar Solskjaer openly admitted that the folly was entirely on them in that fixture, wherein the Red Devils were unable to translate chances into goals despite commanding the lion’s share of the possession. It will be interesting to see whether history will be repeated when these two teams clash again late on Tuesday. Let us have a look at how the players could lineup for the game. Nuno Espirito Santo has been enjoying tremendous success with Wolves as of recent. For Tuesday’s game, he enjoys the rare privilege of having no outfield player unavailable due to injury concerns. 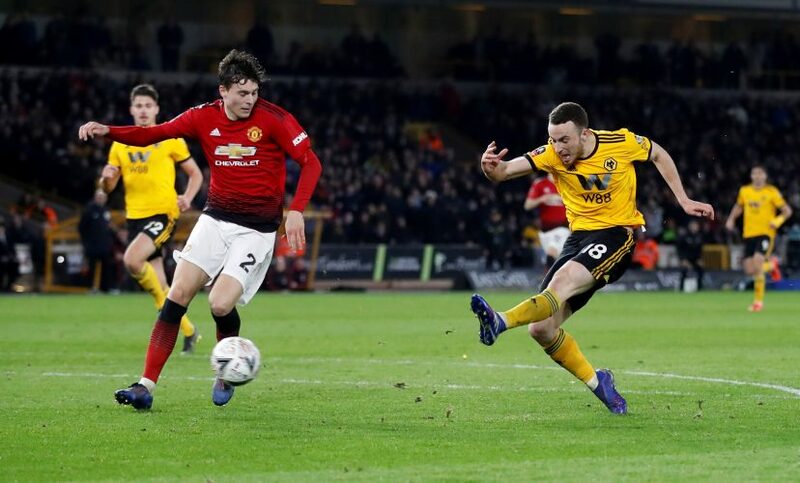 The FA Cup game between these two sides was a lesson in resilience from Wolves, and now, they’ll certainly be hoping to carry that momentum forward at home. If they manage to defeat the Red Devils yet again, they could hold the laurel of possibly causing the most visible blow to United’s ambitions for the season. The Red Devils have had a terrific away record under the Norwegian gaffer, and will be hoping to take that forward. Solskjaer revealed that Anthony Martial is fit for the outing, despite having limped off the pitch after scoring against Watford. The same applies to Romelu Lukaku, who was still recovering and sat on the substitutes’ bench in the aforementioned game. Antonio Valencia, Jesse Lingard, Matteo Darmian, and Alexis Sanchez are all likely absentees for the match. For the first time since 1994/95, United have four players reach double figures in the league. Let us see if those numbers will be furthered going ahead.